Supervisory Team: Phillip Warnell (Director of Studies), Nico Marzano (Director of Cinema), ICA. This research project identifies an emerging category of contemporary moving image works, that combine collaboration across cultural contexts with experimental aesthetics. It analyses how these works’ strategies of co-creation disrupt dominant modes of production, presentation, and distribution within film exhibition and festival practices. Using Walter B. Mignolo’s definition of the 'peripheral' as a position from which the problems of coloniality and capitalism can be made visible and alternative futures imagined, I relate a number of recent artworks that create spaces for marginal vision. The central case studies engage with environments and communities that exist on the fringes of the neoliberal media landscape of visibility and political influence, and are threatened with erasure by global forces of exploitation. 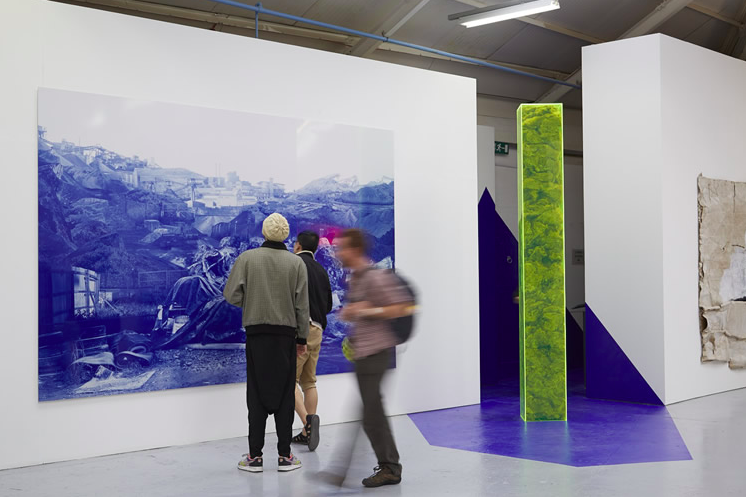 The works prioritise multiple and non-linear perspectives, facilitating improvised dialogues with stakeholders and traditions to connect local environments, stories, and materials. They give voice to human and non-human agencies, re-shaping their image as co-existent with different traditions, ecologies, pressures and interests. Placing these practices in relation to postcolonial theory, post-humanism and new materialism, I aim to develop a critical framework for de-centering the languages and structures of filmic engagement. The turn to collaborative responsibility and multi-sensory attention disorients the standard institutional focus on representation, judgement, and passive engagement. By embracing Jean-Luc Nancy’s notion of ‘being-singular-plural’, I explore how a cinematic ecology can be approached via de-individualised and trans-local routes. This involves stimulating programmers, institutions and viewers to reflect on the ‘elsewhere-within-here’ (Trinh T Minh-ha) that implicates us in an international force field of exploitation and influence. Working in the context of the Frames of Representation festival and its Work in Progress programme, I propose new possibilities for dissemination and presentation that extend beyond the frame of the filmic image. HOLLY ANTRUM - The film document and its veracity. Supervisory Team: Phillip Warnell (Director of Studies), Julian Rodriguez and Mark Reid (BFI) Second Supervisors. This artist-filmmaking research project in partnership with The British Film Institute and the BFI Archive engages with and questions the existing language, grammar and truth-making of archival films. The research proposes that editorial grammar or meter – with its definitive or categorical status - can be scrutinised and reworked, introducing broader, contemporary perspectives whilst revealing embedded, propogandised agendas. Working with an ‘extended’ film grammar to test the veracity of film: exploring how - for example - silence, breath, interval, pause and stanza can impact on the believability of primary source material, the project takes a new approach, reworking aspects of archive film in conjunction with digital copy and newly generated material. The research will offer new knowledge concerning how digitisation provides an opening towards a culture of new materialism, surmising how film has come closer to language than ever before; whereas its earlier existence as a ‘analogue image’ was the consequence of how physical material holds concrete, opaque narratives in celluloid form. Loosened from these historical limitations, a readiness to work on the dispensable and endless copy produces an immaterial format, engendering a shift, or freer psychology. This new pliancy of images necessitates a fluid approach in contemporary film making, commonly experienced in the acquisition and reworking of digital media. LOUISE SANDS – Science Fiction, the alternate reality. This practised based research asks: Can science fiction be used as tool to create a new genre and platform for representation of the feminine condition? It encourages debates between the interaction of technology and society, often depicting an alternative dystopian future as shown in social science fiction. Social science fiction born out of 1930s pulp magazines and post-war period, this form of literature excites a moral response about the structure of society. Pioneers such as Swift, Huxley, and Orwell intertwine a common theme: revealing truths hidden deep within society, truths that have not been subject to a female perspective thus, placing the representation of women in the social sci-fi genre at the forefront of the approach. The research takes inspiration from literary feminist science fiction and dystopian futures of Le Guin and Atwood, that alert us to the realities of the feminine condition placed here in reality. Film practice will reveal and readdress the mis-representation of the female and the troublesome tendencies of the male perspective within the sci-fi genre, by exploring past works of fiction that have become a worrying reality and aspects of technology that embody the most dehumanising capitalist urges. Research will inform a series of short drama films that reflect an authentic depiction of the women’s voice in the Sci- fi genre, using “quiet politics” of social issues - issues not sensationalised but which shape the world in which we live and provide a social and cultural dialogue. The films created will be set in the real world but within a “New Wave” Social Sci-Fi genre of its own that reflects our societal iniquities. Charlie Tweed's practice based PhD research project 'Re-writing the overcode' has developed from in depth research around the history, materialities and agency of contemporary technologies and their relationship with the environment. For the final output he has developed a large scale audio work along with an accompanying publication that vocalises the concerns of the post-human 'ghosts' of these technologies and their waste materials from a fictional research space located below one of the world's largest e-waste sites. Alongside this final work he has also created a number of video works throughout the PhD which have tested out particular responses and some of the 'escape routes' and theories that have been identified within the research. As Bernard Stiegler implied in an interview based on the film Ghost Dance by Ken McMullen, we are already incorporated into cinema and cinema is already incorporated within us. Identity and cinematics exist in a haunted interrelation, intimating what they were, are now, and are about to become a state Derrida calls 'the science of ghosts'. They share qualities that can be sensed, felt, and witnessed through character, story and image, all performed within a frame - an enclosed space in which their meaning is defined and delineated, disturbing their interconnection and incorporation. But the frame itself is questionable: the visual arises only from the invisible, for that which is seen is marked out by that which never comes to presence. Such a frame of reference, or 'frame of mind', has hitherto been formed only of limitations that ultimately prevent new propositions of identity and film arising from their spectral joint existence. FELICITY HAMMOND - Portals in the Urban Terrain: excavating the virtual ruins of rendered architectural propositions. Funded by TECHNE. Supervision: Director of Studies: Julian Rodriguez, Second Supervisor Dr Sarah Bennett. Monumental billboards concealing construction sites have become commonplace in towns all over the world, with images envisaging desirable, aspirational and unfathomably clean living and working environments. On closer inspection however, these projections quite literally disintegrate. Felicity Hammond's photographic practice-based research addresses the spatial inconsistencies provided by simulated architectural propositions, and challenges their material status when they intersect the post-industrial landscape. The research focuses on the disruption of the rendered image points to an inconsistency within a capitalist narrative, and through paying attention to this activates - a discussion about their unattainability. The work draws attention to the ways in which propositions ignore the social landscape in which they are situated, posing serious questions around social cleansing and gentrification. MAXINE BEURET - Working in partnerships does a key blend of disciplines, applied with photography and sound, enable the creation of a more inclusive dynamic representation of cultural heritage in the everyday? Funded by London Doctoral Design Centre. Supervision: Director of Studies: Julian Rodriguez, Second Supervisor Zoe Childerely. This research is based on the depiction of a number of working dairies in England, with a focus on their door-step milk delivery service with electric milk floats (first widely introduced after the second world war). 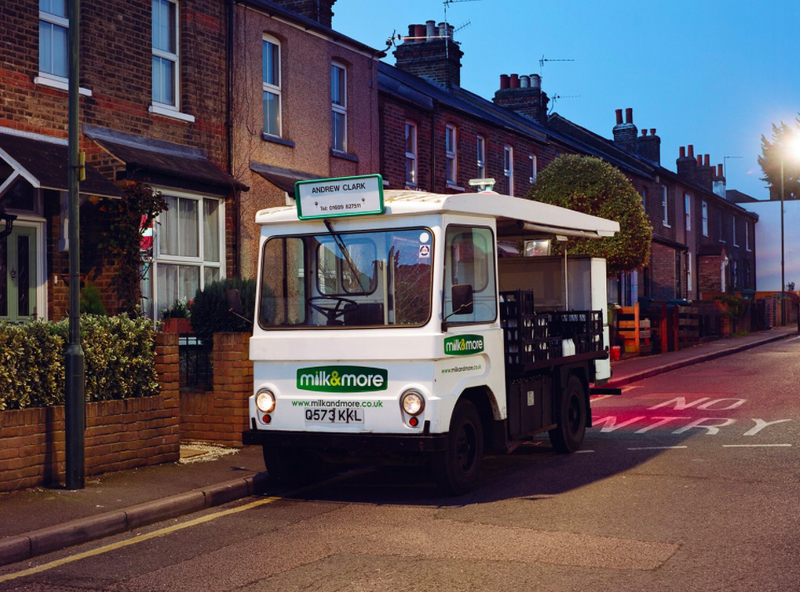 The work illustrates whether the milk floats and their milk men and women are part of the everyday cultural heritage of a neighbourhood, town or city. Led by oral history, environmental sound and the physical journey of each milk round - the photography is combined into lively short photo essay films. The methodology applied has developed through Maxine's established work practice and will be further tested through this research. Archival research is based on the historical material available from a selection of sources including: the dairies themselves, local history libraries, regional film archives, the Wythall Commercial Transport Museum and The National Archives Dairy Council Film Collection. ANNE PFAUTSCH - The Ostkreuz Agency of Photographers. Tracing the Influence of GDR Documentary Photography in Contemporary Practice. Supervision: Director of Studies: Julian Rodriguez, Second Supervisor Dr Stephen Barber. 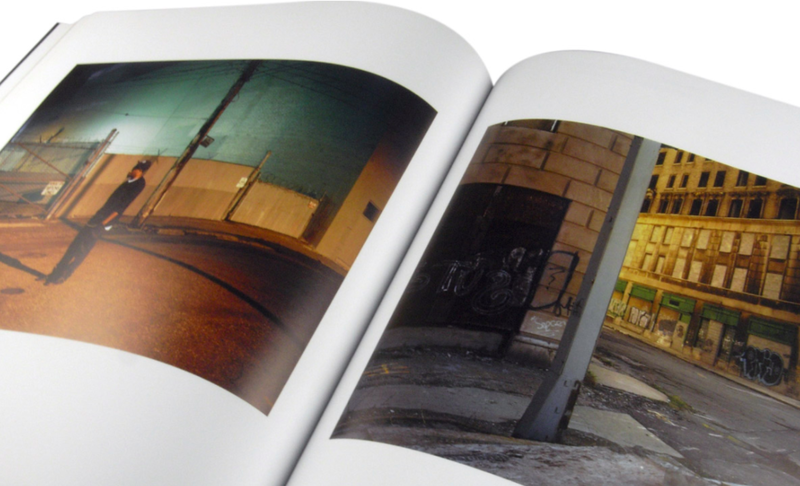 Anne's research examines documentary photography as a 'substitute public'. The research analyses and discusses social documentary photography in the former German Democratic Republic (GDR) 1940 - 1990 and traces its characteristics in order to detect potential influences on contemporary documentary photography in modern-day Germany. The research looks at the way photographs in the GDR were 'coded' and 'layered' to avoid state repression and backlash. Through an in-depth study of The Ostkreuz Agency, the agency's photographers, and, in view of the former mentioned characteristics this research tackles the questions of the significance of social documentary photography in artistic practice as well as on society. MUILBIR RAI - The Way of the Gurkha: an investigation into the Gurkhas' position in the British Army. Previous representations of Gurkha experience on film have been produced by non-Gurkhas, often romanticising their experience from an outside perspective. As the work of a Gurkha filmmaker, this practice-based research project offers a detailed insight into Gurkha values and standards and shows the life of a Gurkha from a position of embodied empirical knowledge using my trajectory from recruitment as a hillboy through active service towards retirement as a narrative line through The Way of the Gurkha feature documentary. Building on the context of Gramsci’s concepts of hegemony and the subaltern, Said’s Orientalism of Gurkha regiments in British Army and Campbell’s Monomyth towards a theoretical framework which combines of Bordieu’s concept of Habitus and Foucault’s examination of power relations in Discipline and Punish, to examine the Gurkhas’ position in the British Army. This PhD adopts De Certeau’s tactics both in how it informs my methodological approach to documentary but also in real terms by taking time out from my military service and using the government’s resettlement grant, to undertake this PhD and pursue an opportunity to change career on retirement, rather than the limited options available in the security sector, I have repositioned myself as a Gurkha historian, academic and filmmaker. This doctoral project presents an opportunity to explore the correlation between sociological and psychological aspects of epilepsy alongside a philosophical and theoretical understanding of the condition, combined with the unique dimension of Rob’s subjective experience of the condition. The research involves a combination of academic writing and filmmaking to investigate the experience of living with epilepsy. The research draws influence from the contemporary Slow Cinema movement with particular emphasis placed on the style of Andrei Tarkovsky, with the output authentically sharing a subjective experience of what it is like to suffer from epilepsy in a more hypnotic and visceral form. KSA's Visible Institute is an inclusive, participatory and challenging entity, channelling questions raised by the diverse practices and community of our highly active practice-based researchers. Based in the Department of Film & Photography, Visible Institute is forming high profile international sector-based initiatives, research bids and industry partnerships.